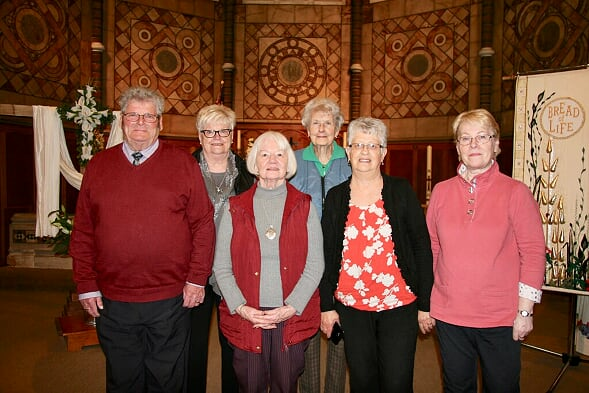 Our team of five, namely Sheila Murphy, Fay Bailes, Betty Stanley and Margaret Powis and now Bernard Brown we all meet on Friday morning and as well as flowers, we have a lovely sociable time. We have a cup of tea, a cake and a chat and we have quite a few people dropping in to join us. You don’t have to be a flower arranger just call in. We meet at around 9.30am every Friday morning (not in Lent) throughout the year. 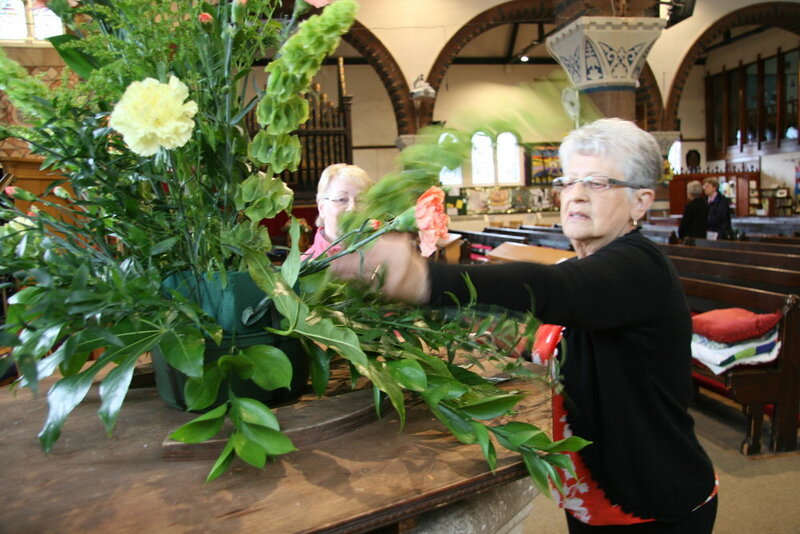 All of the above is only possible because of the generous donations received through the year and we are truly grateful and blessed with your kindness in giving us the opportunity to arrange beautiful flowers in our beautiful Church. We have a rota for people to donate money towards flowers on an anniversary etc. and if you would like flowers in church for this special occasion please telephone the Parish Office (01543 686111) for more information.